From WRC and WEC stars to drift champions and TV personalities, we gathered some of the world’s most influential drivers at the track for their first taste of the new Toyota GR Supra. Sharing their first impressions of our new sports car at the limit, our professional drivers go on to explain the significance of the Supra name in their fast-paced lives. For world drift champion, Fredric Aasbø, there was only ever one dream car growing up: the Toyota Supra. After years anticipating its return, the master of drift tells us if the new, fifth-generation Toyota Supra lives up to his high expectations. An ’86 Toyota Supra was the first car professional drifter, Ken Gushi, ever sat in. Today, the skilled wheelman gets his first experience of the new Toyota Supra to see if the fifth-generation model has the ingredients to make it a true performance car. TOYOTA GAZOO Racing’s, Mike Conway, spends his weekends flat out trying to tame his 1,000hp TS050 HYBRID. 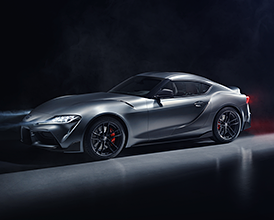 For him, racing is not only about pushing boundaries but also how successfully the technology transfers to road cars like the new Toyota Supra. As a rally superstar, Finland’s Jari Matti Latvala is a man who thrives at the limit, on any surface, at any speed. He compares driving his lightweight, 400hp Yaris (mostly sideways) with the excitement of pushing the new Toyota Supra at speeds he rarely sees in his day job. Mention the name Supra, and it’s the distinctiveness of a schoolfriend’s 90s model that IndyCar racer, Townsend Bell, recalls first. 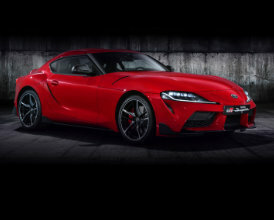 From its low ride height to its aerodynamic design, Townsend’s sold on the looks of the new Toyota Supra before he even climbs in. For TV stunt driver, Abbie Eaton, driving at the limit is almost like dancing. This feeling is amplified when a performance car offers more than just speed and handling but has the full package. Thankfully for Abbie, the new Toyota Supra makes balance an art form. Former F1 driver and vlogger, Dani Clos, loves the fun of playing with a car on the track. Thanks to the purity and balance of the new Toyota Supra’s handling, Dani felt as one with our exhilarating new sports car. He’d get even closer to the fun if could – if there were more available to buy, that is! After early success with Per Eklund in a Celica Supra in the British Rally Championship, the A70 GR Supra made its debut in Group A rally, proving particularly effective in harsh African terrain, such as the notorious Safari Rally. The famous touring car driver, Win Percy, sealed the 1984 British Saloon Car Championship in an A60 Celica Supra. A year later, motorcycle racer Barry Sheene took over, drawing large crowds to see how the two-wheeled legend would perform at the wheel of the Celica Supra. GR Supra was a dominant force in the All-Japan GT Championship (JGTC) between 1995 and 2005. It went on to win the JGTC championship four times – in 1997, 2001, 2002, 2005 – and despite production ending in 2002, factory teams continued to use the Supra with great success until its final race in 2006. From the World Endurance Championship (WEC) and World Rally Championship (WRC) to the Nürburgring 24 Hours race, TOYOTA GAZOO Racing competes in the world’s premier motorsport events. By overcoming the challenges faced in the heat of competition, we can develop our people, forge new technologies and produce ever-better cars. In the thrilling Toyota GR Supra, we have the perfect platform to go racing. 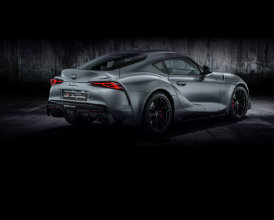 And to showcase these qualities is this: the GR Supra GT4 Concept. 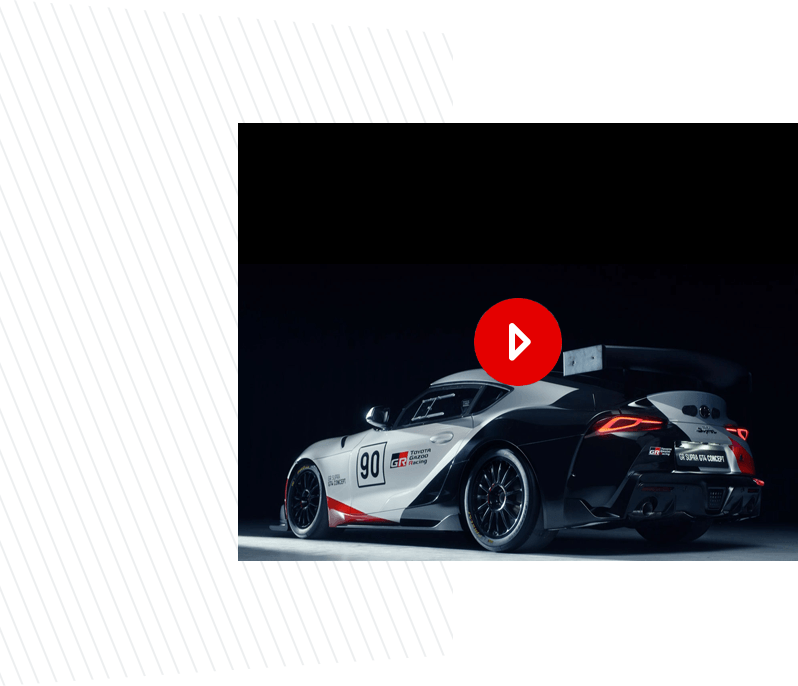 Making its world debut at the 2019 Geneva Motor Show, it explores how the Toyota GR Supra’s perfectly balanced chassis and highly rigid and lightweight body might be developed as a competitive machine for international GT4 racing. Two words that take a generation of motorsport fans and Gran Turismo® players nostalgically back to the iconic Castrol TOMS Supra GTs and battle-scarred Supra GT LMs of the mid-90s. But it took until the early ’80s for the GR Supra to get its foot on the motorsport ladder. Although the fourth-generation GR Supra was by far the most successful in motorsport, the A60 and A70 also enjoyed considerable success in a variety of racing disciplines, from European touring cars to the World Rally Championship.